Instant Car Donation was founded with the goal of bringing donors and local charities together with an efficient and pleasant process. You can focus on deciding which of our respected charities is right for you instead of worrying about difficulties of researching how to make a donation. After your free pickup, we will assist you in recieving the best tax benefit possible for your generous gift. We take pride in helping smaller charities easily receive car donations, bringing people together while helping support those in the Scottsdale, Arizona community who need it the most. Here are some of our favorite charities in the Scottsdale area. We have made sure each of them are eligible for tax deductions when you help your local community by donating your car. Your values and choice can make a difference. The Jewish Tuition Organization (JTO) was established in 1999 with the goal of ensuring no child is denied a Jewish day school education because of the cost. Since then, JTO has been privileged to make a difference in the lives of students in the Phoenix area by awarding over 4,000 need-based scholarships to students at seven partner schools. As a student tuition organization (STO), the JTO is able to raise funds for these scholarships through the dollar-for-dollar Arizona Private School Tax Credit. Thanks to the generous support of partners like you, JTO distributes an average of 400 scholarships per year worth over a combined $2 million. Waste Not occupies a very unique niche in our community. We are not a food bank, yet we feed thousands upon thousands of hungry people every day. Our trucks and drivers are on the road six days per week, beginning at 6:30am, collecting an average of 6,000 pounds of excess perishable food daily from restaurants, resorts, caterers, grocers and various food purveyors - food that would otherwise be thrown away. We deliver the food the same day to more than 100 diverse agencies that feed the hungry including schools, after-school programs, daycare centers, rehabilitation centers, transition homes and senior facilities. There are many charitable institutions, for example Waste Not, in your Arizona area which can benefit from your automobile, such as your Dodge Ram Chassis Cab, donation. We not only assist you donate to a charity, but we also focus on providing an easy way to local non-profits that are small that they can focus on their important work, to take donations. The donation is likely to make the biggest difference for non-profit organizations, such as Waste Not, while helping encourage those within their regional Scottsdale, Arizona community who want it the most bringing individuals together. It is important to Instant Car Donation which you get the greatest allowable tax deduction advantage possible without having to navigate complexities or execute research. We pre-qualify all our participating 501-3C non-profit charities to verify your donation will be tax deductible. The process will be streamlined for both you and the charity of your choice, like Scottsdale Cultural Council. We will help a 1098-C tax form to you after your donation. Car donations are the most responsible method for many folks to create a donation. Due to this, one of their aims is to empower those electing such a decision by making sure that the automobile, like a Toyota Van, goes into the charity which reflects their values, such as Boys & Girls Clubs of Greater Scottsdale. make charity decision an integral part of the process when donating together with us. We can do that in case you need us to decide for you which charity would benefit the most instead. If you've got a charity in mind you want to donate to, you can donate with us. While there are lots of advantages to charities which receive donations from individuals, the benefits to the you, the donor may not be as clear. The biggest advantage which the majority of individuals hear is your opportunity for a tax deduction. There are a few limitations on this kind of deduction, which means you could want to talk to a tax pro prior to making the donation. Another benefit of donating a secondhand car to charity would be your opportunity to simply eliminate the automobile without having to attempt to fix or promote it. Most charitable automobile donation plans will except vehicles whether they're operating or in need of repair. Car donation programs have become more popular in Arizona over the past decade or so, as more charities are looking for new and creative methods to generate funds. Nowadays, the amount of charitable vehicle donation programs is in the hundreds or perhaps thousands. If you've got a favorite Scottsdale charity you like to make contributions to, it is probably possible for this charity to receive at least a part of the funds when you give your old automobile, like your Chevrolet Lumina APV. Aside from the charitable tax benefit rather than with the hassle of handling an older car, the feeling of having the ability to assist those in need may be the very best reason to donate your vehicle, such as a Jaguar VDP, to a charity. Most used car donation programs will sell your vehicle to increase funds for the reason, utilize the automobile, such as your Mazda B-Series, in the daily operations of their organization, or give the vehicle to a somebody who needs help either at no cost, or even for under the average market value. Charitable vehicle donation programs enable you to give your secondhand car to the charity of your own choice. Visit our charities page to find a charity in Arizona to contribute to. When you choose to make a donation of a used car, if the charity sells the vehicle for over $500 they have to mail you a receipt which allows you to subtract the sales price of the vehicle, like your D & N Trailers D & N Trailers, in your own tax return. If the old car you chose to donate is not worth at least 500 bucks, then the IRS lets you determine the reasonable market value. This is the value that someone would be inclined to buy the vehicle, such as your Ford Contour, if buying it from you. In order to receive the tax deduction, so you'll need to itemize your deductions on your tax return. Using this method, you make out by getting rid of your used car, truck, RV, motorcycle, or other vehicle, without having to sell it in Scottsdale. You claim the tax deduction, and the charity either gets to use the automobile sells it and uses the proceeds for the benefit of the charity. That's a win-win for everyone involved. Is there a financial tax benefit for donating my vehicle in Arizona? We can guarantee your automobile, like your Saab 9-7X, goes to a charity, for example Boys & Girls Clubs of Greater Scottsdale, that's eligible assist you recieve a reciept on your donation and to receive tax deductible donations. You might be able to find a tax benefit for your auto 18, if you itemize your deductions. For contributions around $500 it is possible to utilize Kelley Blue Book and also for bigger donations the charity, for example Make-A-Wish Arizona, needs to verify what they recieved for the auto donation (more info). How can my car be sent to the Scottsdale charity? We'll arrange a tow truck to come pick up your automobile, like a Lincoln MKC, and deliver it to the non-profit organization, for example Boys & Girls Clubs of Greater Scottsdale, of your choice. It could not be simpler today to assist your non-profit organization, for example Waste Not, of your choice! Do you accept donations for cars and trucks that are damaged or missing components? We take vehicles in all conditions! Go to the form and submit your request to contribute, and our Scottsdale team will see what we are able to do for you. Would you help me find a non-profit organization that is suitable for my morals? We would love to help you ensure your donation goes to a cause in Scottsdale you care about by helping you pick a non-profit organization that satisfies your values. It is important to us we do it each time you donate with us! What non-profit organizations do you help in Scottsdale? Instant Car Donation proudly supports several respected local & national Scottsdale organizations that are nonprofit in the area. We work hard for you to be sure the organizaion gets support from your car or truck. All owners around the title must finish the section of the car title tagged "assignment of title by owner" or "transfer of ownership by seller". Most states require registering and printing owner names. You should fill out any fields that require information concerning a buyer/purchaser/transferee with info. Directions may be found by you here. First we'll contact the charity, such as Scottsdale Cultural Council, of your choice (or pick one for you whether you asked that rather than picked) to make sure they want your own car which takes around one business day. After that we'll arrange for a tow truck to come for you for effortless pickup. When it is taking a little longer feel free to give us a call. Have you wondered about donating your vehicle to a charity? It may well not be as easy as you might think. Most charities, such as for instance Scottsdale Cultural Council in Scottsdale, Arizona are not equipped to handle car donations, as it requires one to hire staff to take in the vehicle, assess it, sell it, then do all the paperwork and accounting. By the time this process is finished, the true monetary donation to the nonprofit may be very small after paying to get each one of the overhead. Let us at instantcardonation.com help. We make it quite easy for any local charity, such as for example Waste Not from Scottsdale, Arizona to own their particular car donation app because we eliminate most the hassle. When a non-profit, such as for instance Scottsdale Cultural Council at Scottsdale, Arizona partners with Instant Automobile Donation, they be given a full scale vehicle donation system. We take care of everything and are able to simply give your charity a contribution checked with each the essential paperwork completed from the ingestion and sale of each car. Our process is straightforward. We'll take any vehicle, such as for instance COMMUNITY CARS Kenguru. Just complete an intake form. Afterward, we'll contact you to verify your car donation. Next, we will ship a tow truck to pick up your car within two days. From that point, we treat everything. We'll fix the vehicle and sell it for the maximum value, in order for your donation is going to soon be maximized, or whether it isn't worth fixing up we'll sell it as is. It's a Win Win. The hassle of having their very own automobile donation program is not always well worth it for local charities, but when individuals be careful of most of the heavy lifting, then it's a great source of fundraising for non-profits. We help can help local charities like Make-A-Wish Arizona in Scottsdale, Arizona and larger charities like Sister Carmen Community Center. As an example, your donation will help Waste Not in Scottsdale, Arizona to further their mission. This sort of fund raising support allows charities like Waste Not from Scottsdale, Arizona to focus their energy and time on what they are best in: helping the others. For those who have a local charity, such as Boys & Girls Clubs of Greater Scottsdale at Scottsdale, Arizona that you'd like to help and also have an automobile, just like a Th!nk Th!nk Neighbor to donate, then simply fill in and intake today and we'll be sure you are able to make the most from the donation. Moreover, if you don't see your favourite charity on the website, then feel free to send our website information into the charity and request that they join our schedule. Alternatively, you can reach us out at info@instantcardonation.org and we will get in touch with your charity of choice to find out if they would love to have their particular car donation program that is totally handled by people. Spread the word and make your beloved local non profit, Boys & Girls Clubs of Greater Scottsdale at Scottsdale, Arizona like to maximize their own finance and reach their aims with their particular vehicle donation system! Have you got a car, like a EQUUS AUTOMOTIVE EQUUS AUTOMOTIVE, just sitting in your garage or on your driveway that you've been meaning to eliminate? Perhaps you believe it is too outdated, or that it's in need of repair or refurbishing. 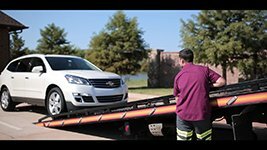 Many of us are eager to leave an unneeded auto sitting in our our driveway for years without even spending time or money to repair it. So that automobile sits and sits and sits. Let's be fair. Are we really going to put in cash and the time to fix this car? If we were, wouldn't we have done it already? Not only is this older car an eyesore, but we are also overlooking the opportunity to apply this precious resource to aid a charity such as United Way of Portage County, WI! 1 man's crap is another person's treasure, so the saying goes. This is certainly true with automobile donations. A car, like a Acura RLX, which is unneeded by you could supply just the correct amount of funding to a charity in Scottsdale or outside to fulfill its budget for a current or future job. When you donate your vehicle, you're giving a valuable treasure to some charity, because your contribution permits them to keep their work in the community. Scottsdale Cultural Council at Scottsdale, Arizona is this a nonprofit. Its call to activity is directly encouraged by your contribution--you can help the charity of your choice, such as Boys & Girls Clubs of Greater Scottsdale, to extend the breadth and reach of the good actions in the neighborhood! We pride ourselves in assisting you to convert your unwanted car to real treasure! Click the contribute button now to start the procedure. After you tell us that you're prepared to donate your vehicle, we will arrange to get a free pickup in Scottsdale or your local region and sell your vehicle. All you want to do is tell us which honored charity matches the call of your spirit, and we'll finish up. The very best part is that while you get the advantage of clearing out old, unnecessary junk, you get to give funding to the charity of your choice, such as Second Harvest Food Bank of Santa Clara and San Mateo Counties, and finally, you get the maximum tax benefit for your donation. We'll provide you with a tax receipt for the donation, and also make sure the charity of your choice receives your contribution in addition to the required IRS paperwork to accept your contribution. Is car donation just for clunkers? Many men and women think car donation is simply for getting old cars that do not run out of the driveway. This is simply not correct. Lots of people donate attractively reconditioned cars they have been taking care of. Also, did you realize many auto collectors donate their vehicles to charities each year? As an example, actress Sharon Stone was collecting antique cars within the past 21 decades and it has given seven of the trackable cars for charities. Donations in this way can help non-profit associations to simply help people in need, to nourish the less fortunate, to teach youngsters, to provide afterschool programs, to provide clothing to homeless folks, to help creatures and lots of other beneficial deeds. Of course you're able to donate some car, such as being a COMMUNITY CARS Kenguru, or perhaps a Strother Welding Strother Welding, however what generates Instant Car Donation unique is that people allow you to pick a local charity like Boys & Girls Clubs of Greater Scottsdale or Waste Not from Scottsdale, Arizona, so that your donation can help the neighborhood community. Many automobile donation programs just allow you to contribute to a single company since they're often hired specifically by that charity because their designated vehicle donation provider. We are very different. Charities not hire us. We develop partnerships and are independent. This makes it possible for us to help numerous charities across the country like The Rose Theater and Washington Policy Center. However, our distinctive power to help local charities like Waste Not and Waste Not at Scottsdale, Arizona, is our specialization. Would you know some one? Why not ask them if they would really like to give it to help a local charity like Make-A-Wish Arizona at Scottsdale, Arizona or even Homeless Empowerment Program? It could be almost any vehicle, such as being a Audi 5000 or a Porsche 944! The possibilities are infinite. When you contribute a car, such as a Toyota Cressida, then you can contribute from the heart. There are so many worthy charities out there that are in need of your help, especially in Scottsdale. Require Waste Not in Scottsdale, Arizona. This a wonderful example of a charity that touches the lives of so many in the local community. We can't do the work that Make-A-Wish Arizona does, however, we can all lend a hand to enable and further its mission. Do you have a car in need of a new home? Before you click the donate button, then take some time to look through the many pages of charities, like Columbus Symphony Orchestra, that we partner with. Which of them speak to your heart? Then take a moment to reflect. What wishes do you need for the people of your community? After that, imagine how by even taking an action as small as donating your vehicle in Scottsdale, you're in a position to make one of these wishes come true. Imagine what chain of events your automobile donation could set off in Scottsdale and outside. Do the wishes you have go past the pages of our website? Probably. We need to all dream big, especially when it has to do with the great wishes and happiness that people earn for others. But some us of may find that the charity we want to donate our automobile is not listed on this website. We can help! You can still click on the contribute button and let us know there's a worthy charity, like Autism Society of America, out there that that isn't listed on our site. We'll get that charity and utilize our tools to make sure that it can get your donation. The practice is simple. When you click the donate button and then let us know you're prepared to give your car, such as a Bugatti Chiron. We will organize a free pickup for your vehicle in Scottsdale or your community area, and list at auction to find the highest price possible so we could make the most donation potential for your charity of your choice, such as Scottsdale Cultural Council. Not only will you get to give your vehicle from the heart, but you're also eligible for a tax-deduction. We will complete your tax receipt and supply the non-profit with desired IRS paperwork as well as your contribution. Giving in the heart could not be easier!